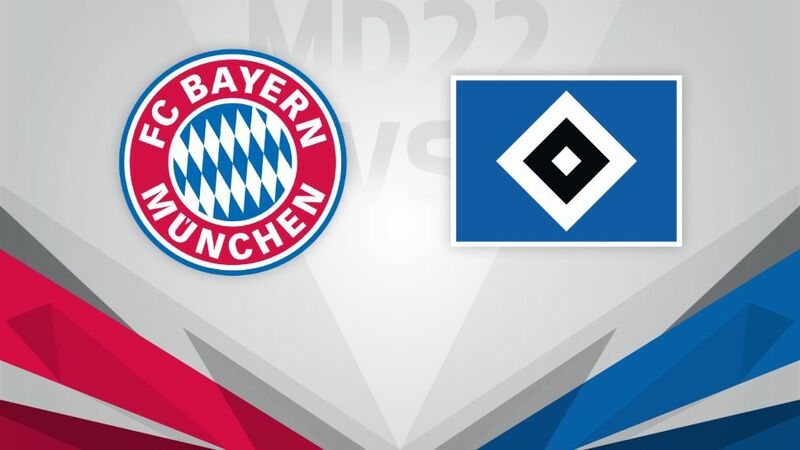 After waiting until injury time to eke out a draw on Matchday 21, Bayern Munich will seek a more free-flowing performance this Saturday (15:30CET/14:30GMT) against a Hamburg side whom they have enjoyed hosting in recent seasons. Click here to make use of your three Official Fantasy Bundesliga transfers before Matchday 22! The league leaders are still unbeaten in 2017 thanks to a last-gasp Robert Lewandowski goal in the 1-1 draw at Hertha Berlin. Having also needed late efforts to secure victory at Ingolstadt on Matchday 20 and Freiburg on Matchday 17, Carlo Ancelotti will be hoping his men can extend their unbeaten home record with a little more ease on Saturday. Hamburg have now gone four games unbeaten in league and cup following their 2-2 home draw with Freiburg, although it could have been four wins on the trot had Aaron Hunt scored from the spot late on. At the home of the defending champions, the visitors will be targeting what would be only their third away win of the campaign, but they have not been happy travellers to Munich in recent seasons. Bayern have won their last seven home games against Hamburg. They have scored 37 goals and conceded just three in those matches, memorably winning 9-2 in 2013 and 8-0 in 2015.The Reds are unbeaten in 16 matches against Hamburg.Ancelotti's side have dropped points in six matches this season – as many games as they dropped points in during the whole of last season.Hamburg goalkeeper Rene Adler has played against Bayern 15 times. He has yet to win against them and has conceded 42 goals in those games. On Saturday he will make his 250th Bundesliga appearance.Hamburg have gathered almost as many points (seven) as Bayern (eight) in the second half of the season.Hamburg dismissed Bruno Labbadia as coach after their defeat against Bayern on Matchday 5.